The Federal Motor Carrier Safety Administration (FMCSA) has taken steps toward better oversight of motor carriers by establishing the Compliance, Safety, Accountability (CSA) and chameleon carrier vetting programs; however, FMCSA could improve its oversight to better target high risk carriers. The CSA program oversees carriers’ safety performance through roadside inspections and crash investigations, and issues violations when instances of noncompliance with safety regulations are found. CSA provides FMCSA, state safety authorities, and the industry with valuable information regarding carriers’ performance on the road. This book examines the effectiveness of the CSA program in assessing safety risk for motor carriers. For years, some motor carriers have registered and been operating illegally in interstate commerce by using a new identity in an effort to disguise their former identity and evade enforcement actions issued against them by the FMCSA. Such carriers are referred to as chameleon carriers and may include interstate passenger carriers, household goods carriers, or freight truck carriers. 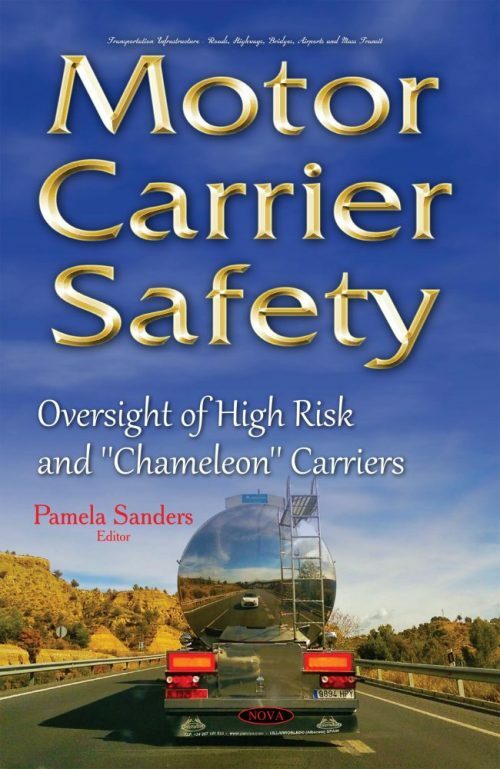 This book examines the prevalence of chameleon carriers; how well FMCSA’s investigative programs are designed to identify suspected chameleon carriers; and what constraints, if any, FMCSA faces in pursuing enforcement actions against suspected chameleon carriers.